When certain physical and/or mental impairments prevent you from working, filing a claim for Social Security Disability Income Benefits (DIB) and/or Supplemental Security Income (SSI) may be necessary. These claims can provide essential financial support to disabled individuals who are unable to earn a living. It’s important to understand, however, that federal DIB claims, as well as SSI claims, can involve a complicated application process. In fact, about 70 percent of disability & SSI claims are denied by the Social Security Administration (SSA) the first time they are filed.1 Commonly, these denials result from incomplete applications or mistakes made during the process. At Finderson Law, LLC, our Fort Wayne lawyers are experienced at helping people pursue the SSDI and/or SSI benefits they need and deserve. Whether you need help filing for disability or SSI benefits for the first time – or it’s time to appeal a denied claim or the reduction of benefits, our attorneys are ready to help you. We can explain the process and how to proceed with your claim. We can also handle the claims or appeals process on your behalf while positioning your claim for the maximum available benefits. 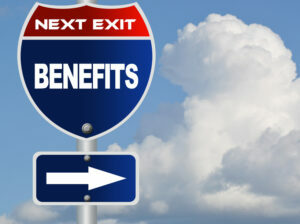 Who Is Eligible for Federal Disability Benefits and/or SSI? The applicant has a qualifying condition that is expected to last at least one year or that is fatal. The applicant passes the recent work test. The applicant has a disability that prevents him or her from being able to engage in “substantial gainful activity” (i.e., work). If younger than 65, the applicant must demonstrate complete disability, as well as financial need. If older than 65, complete disability may not be necessary to qualify for benefits. Financial need will, however, still need to be demonstrated. Other financial support or benefits that an applicant may be receiving can impact awards granted (and potentially eligibility for benefits). Complying with any follow-up requests, such as requests for additional documentation to verify eligibility. A lawyer can provide important support and guidance to those who are filing for SSDI or SSI benefits, as well as those who are pursuing appeals. Helping you position your claim for the maximum available benefits. A Fort Wayne disability lawyer at Finderson Law, LLC is waiting to speak with you about your SSDI or SSI claim. Call (260) 420-8600 or email us to set up a free, no obligations consultation and find out how we can help you. Diligent and dedicated, our attorneys have more than 20 years’ experience partnering with clients to help them meet their objectives. With Finderson Law, LLC, you can count on receiving the highest quality representation and personal service for your SSDI and SSI claims. To date, we’ve helped hundreds of clients. Our history of providing exceptional service and results has earned us a 5-star rating on Facebook.